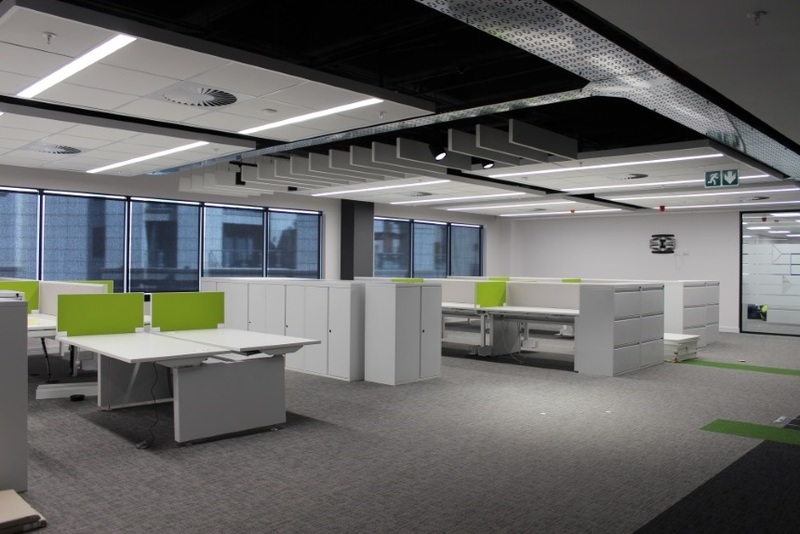 The City Bank SA Offices in Sandown, Sandton are near completion. 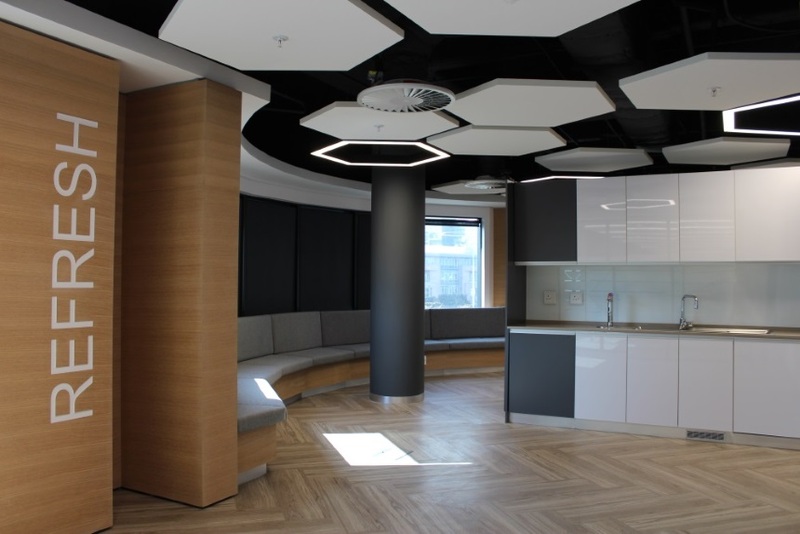 This project features various commercial & architectural luminaires throughout. 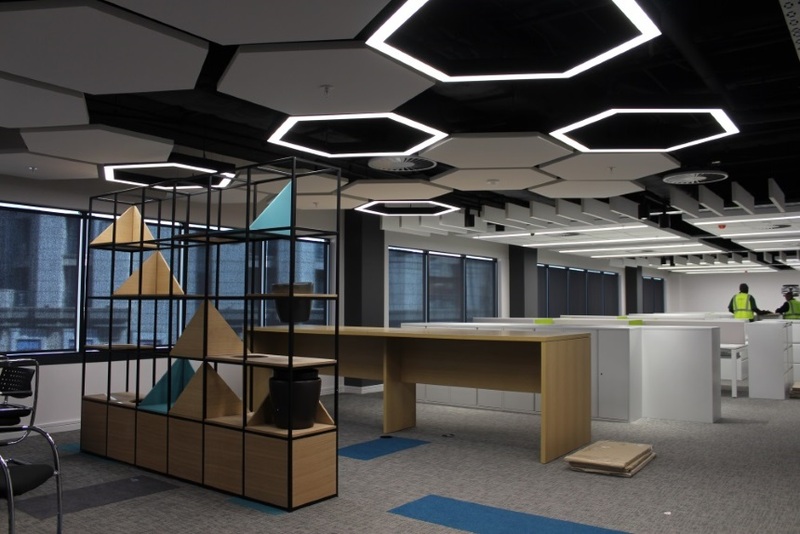 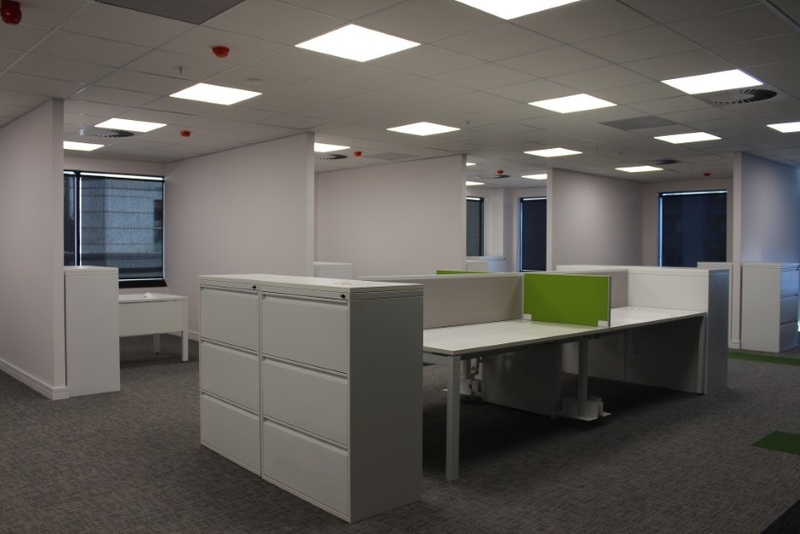 For the general workspace areas, the Luxon 600x600 40W panels, Perox Nexio downlights, Elux 110, Linear Maxi continuous recessed at 21W/m, Linear Mini continuous at 28W/m recessed and suspended were used. 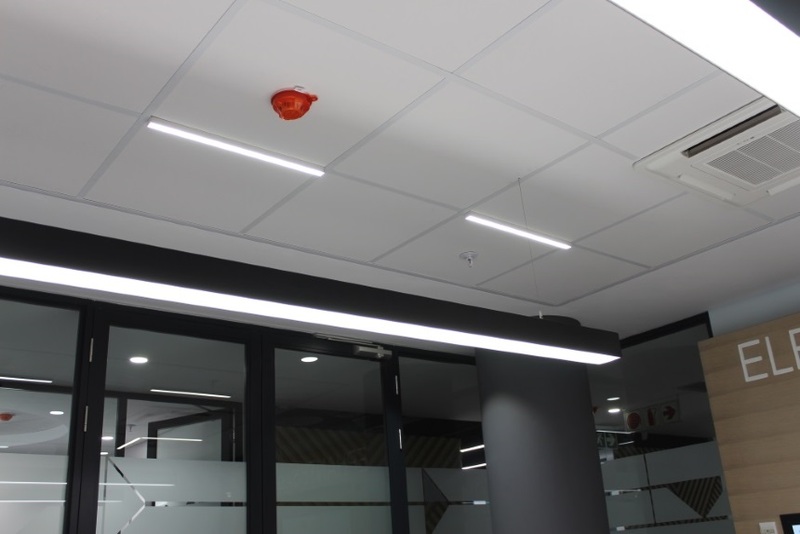 The Jura 1005 track lights 17.5W & the Pandora Hex pendants 1200mm 21W were used in all the general traffic areas and dividing room areas for aesthetic appeal. 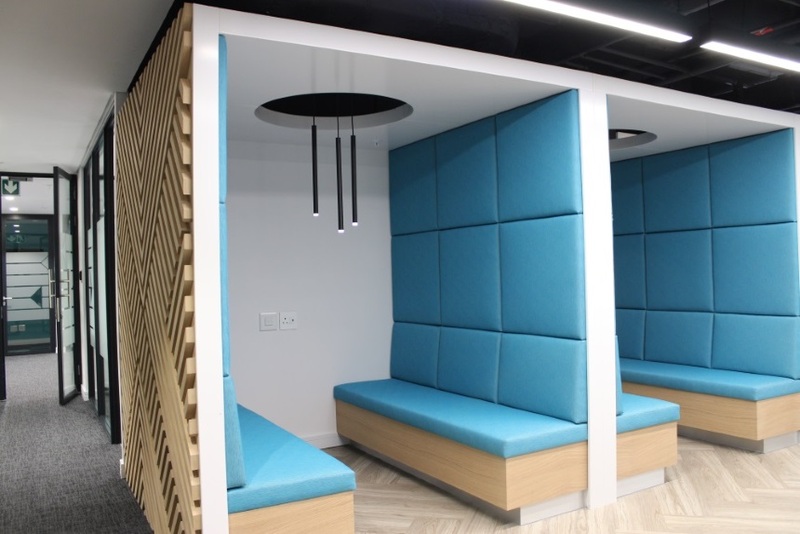 The communal break-away area features both the Silo Pendant suspended within each booth, suspended Linears down the walkway as well as the Pandora Hex Pendant suspended between the hexagon ceiling boards. 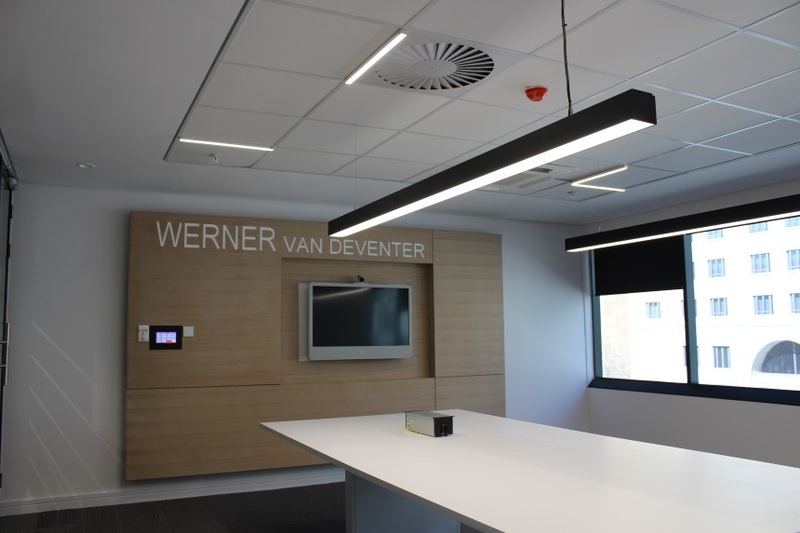 This project is the first to feature our new T-Line System luminaire at 5W 600mm lengths mounted between ceiling panels in the boardrooms. 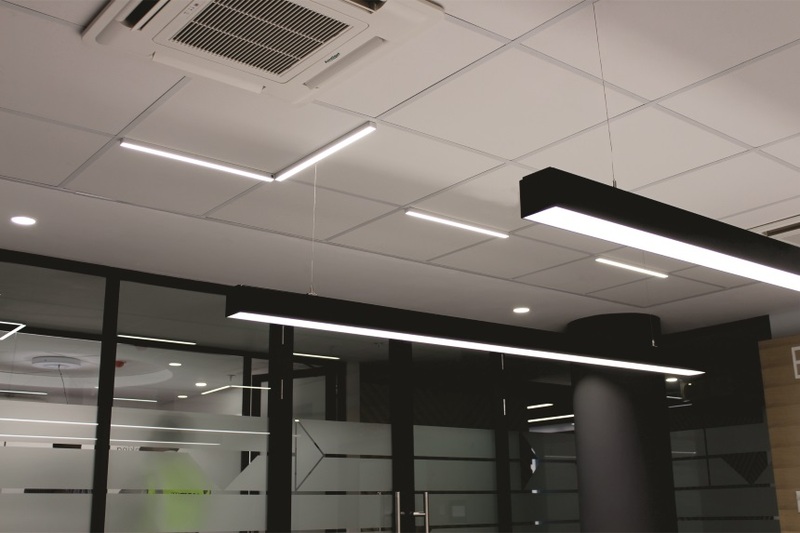 The T-Line range is the ideal LED lighting system to compliment the ceiling tile grid system in all commercial environments.